Australian author Jennifer Scoullar has seven novels published in Australia: Wasp Season, Brumby’s Run, Currawong Creek, Billabong Bend, Turtle Reef, Journey's End, and Fortune's Son. Her passion for the outdoors and animals influences her writing. All her life she's ridden and bred horses, in particular Australian Stock Horses. She is considered by many to be one of Australia's favorite storytellers. 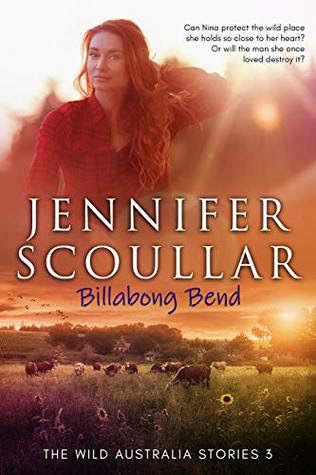 Rich in color and sensitive to character development and all in an unmistakenly Australian mode, BILLABONG BEND is a fine introduction to the talents of Jennifer Scoullar. Recommended on every level.